Les Darcy had a short but brilliant fighting career that came to an unglamorous end when the young boxer died far from home. Considered one of the greatest middleweights of all time, Darcy proved his mettle in his native Australia. Born in New South Wales, he started boxing as an amateur at age fifteen and quickly turned professional. He won his first sixteen fights before challenging the veteran Bob Whitelaw for the Australian welterweight title. Darcy lost the twenty-round decision but, in a rematch, knocked Whitelaw out in five. Darcy graduated from regional bouts to fighting in Sydney Stadium, and promoters began to import talent to challenge him. He lost his first two fights in Sydney, one by decision and one by foul, to American Fritz Holland. The next year Darcy faced another American, Jeff Smith, in what was considered a contest for the Australian world middleweight title. When Darcy complained of a low blow at the end of the fifth round, the referee believed that Darcy did not want to continue and awarded the decision to Smith. In a rematch, Darcy was awarded the victory when Smith punched him in the groin. 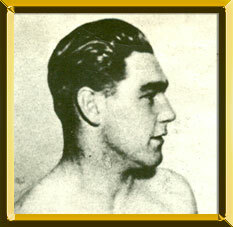 As Australian world middleweight champ, Darcy defeated such top-flight visiting Americans as Eddie McGoorty, Billy Murray, Jimmy Clabby, George Chip, George ("K.O.") Brown, and Buck Crouse, as well as knocking out Smith and Holland in rematches. Darcy's opponents are said to have admired his courage, stamina, and punching power. In 1916, Darcy KO'd Harold Hardwick to capture the Australian heavyweight title. Darcy was Australia's best known sportsman at the time his country mobilized to join the Allied cause in World War I. Because Darcy failed to enlist in the military, public opinion turned against him. He escaped the mounting controversy by stowing away on an oil tanker, the S.S. Cushing, bound for New York. In America he was vilified by the press and labeled a "slacker." New York's governor refused to issue a license for a fight involving Darcy. Other states' governors followed suit and a six-month tour, promoted by Tex Rickard, failed to materialize. To regain favor, Darcy signed an oath of allegiance to the U.S. and joined the armed services (with the understanding that he would be given furloughs to fight). However, he collapsed a few days later and died in Memphis of blood poisoning from an infected tooth. His body was shipped home, where he was mourned as a hero.